Description: The “Pilot’s Choice” tour is an incomparable journey of discovery, a once-in-a-lifetime experience. Two ice field landings will leave you wanting a third when you experience this trip "back in time," to a place where ice ruled the earth. 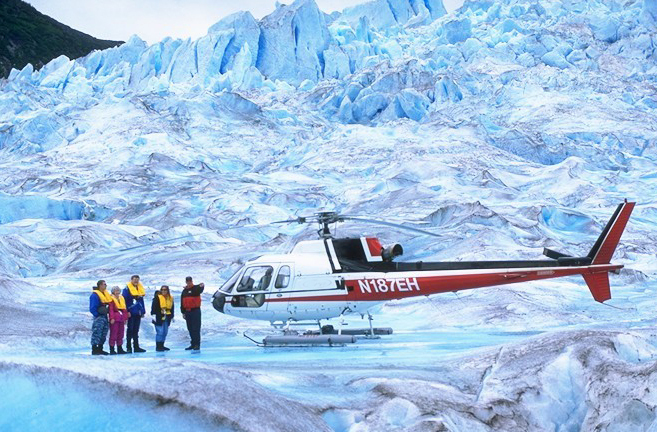 Your pilot will give you an eagle’s eye view of high alpine lakes, “icefalls” hanging from sheer cliffs and some of the most remote peaks and glaciers in the Juneau Icefield -- places like Wonderland, Glacier King, the Mendenhall Towers, and Devil’s Paw. The itinerary is flexible; your pilot is free to create the best possible tour under the current weather and glacier conditions.